A redefined nursery decor with the launch of a modern, urban furniture line with a patented concept: a convertible bed. These products blend seamlessly into modern decor—perfect for young families and their active lifestyles. The gliders have a Technogel, it is a unique gel created by the German company Bayer Material Science. It is designed to offer the highest possible comfort and relieve pressure. Just like you, we have looked all over the place for North American products. Things we trust. Businesses we wanted to support. The closer to home, the better!We thought we’d share everything we’ve learned to make your shopping experience easier. 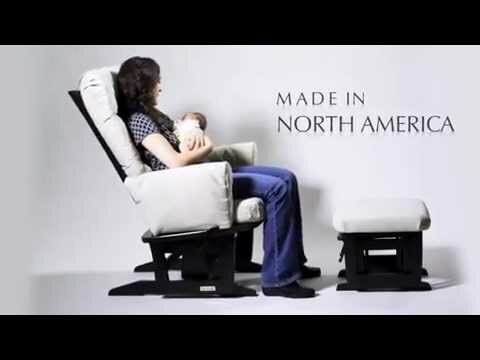 Now you can spend time with your baby or, sneak away for a quick nap. No more googling, no more baby store hopping, and no more frustration. You’re welcome. From our families, to yours.